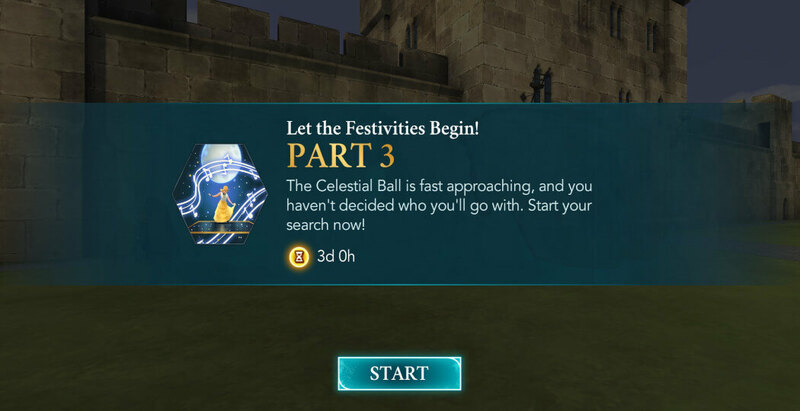 Hello everyone, welcome to the Walkthrough for Part Three of Let The Festivities Begin Adventure for Harry Potter: Hogwarts Mystery. 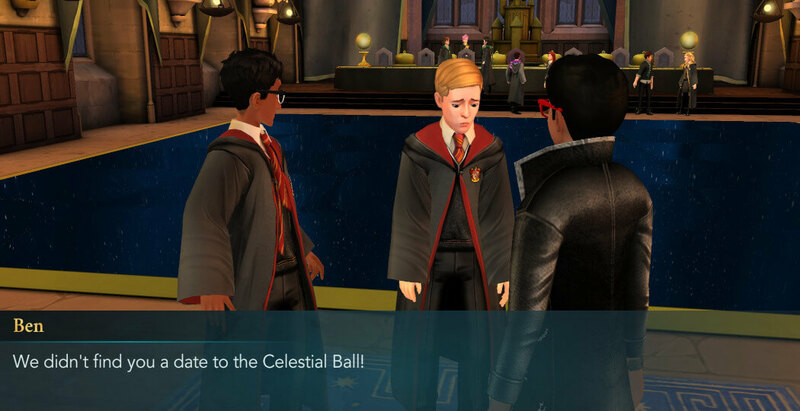 Last time, you convinced Ben and Rowan to change their opinion about attending the Celestial Ball. Not only that, but you also persuaded Andre to style them for this festive event. However, there isn’t much time until the ball begins, and you are yet to find a date and get yourself an outfit fitting for this occasion. 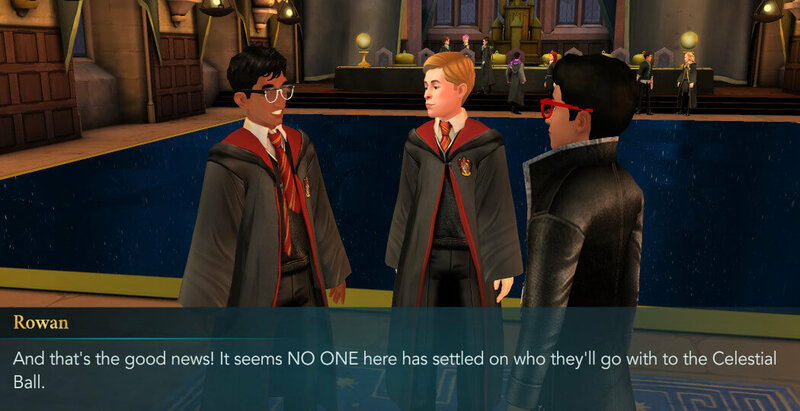 Luckily, Ben and Rowan want to help you with that. 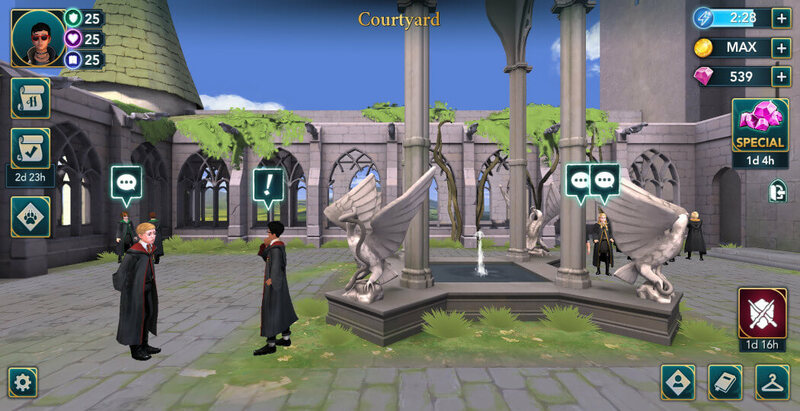 Head to the Clocktower Courtyard to meet them when you are ready. 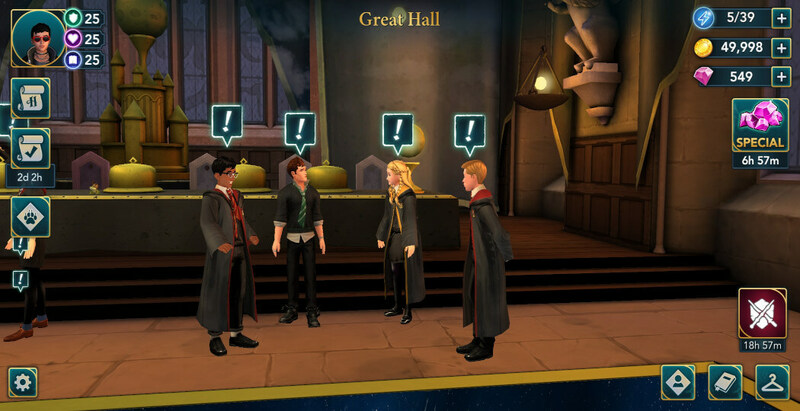 Upon arriving, you’ll be able to interact with some of your friends by tapping on their speech bubbles. 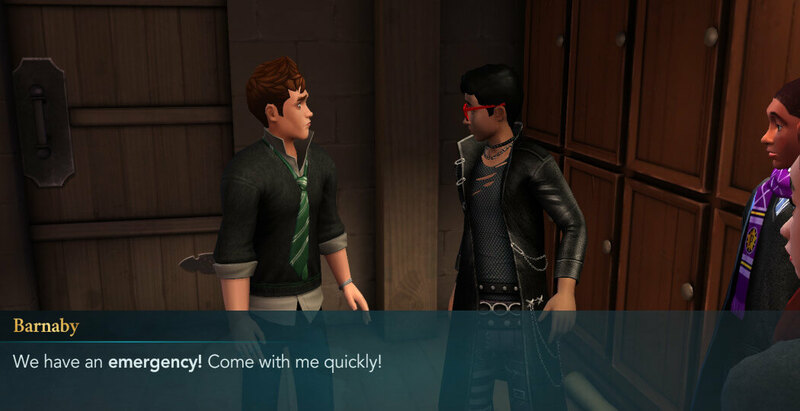 Ben and Rowan will ask you if you’d prefer your date to be a boy or a girl. You have three options to respond with. 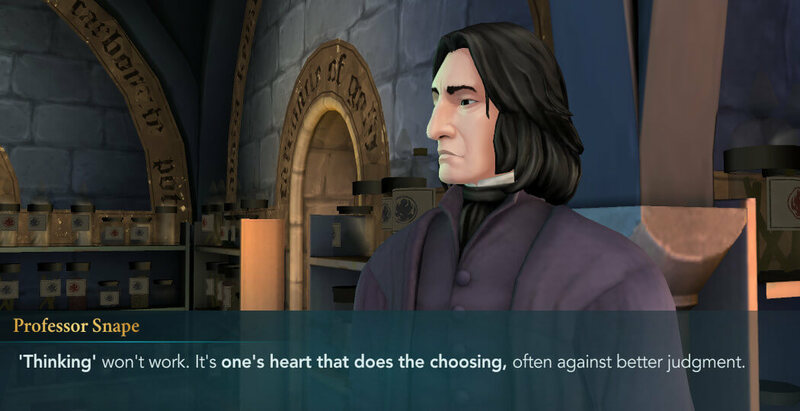 Keep in mind that this choice won’t affect the story, so feel free to select the option you want. 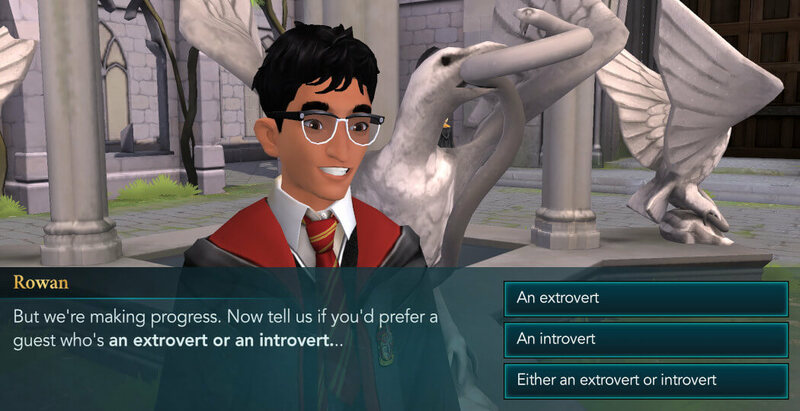 Then, you’ll be asked if you prefer a date who is an extrovert or an introvert. 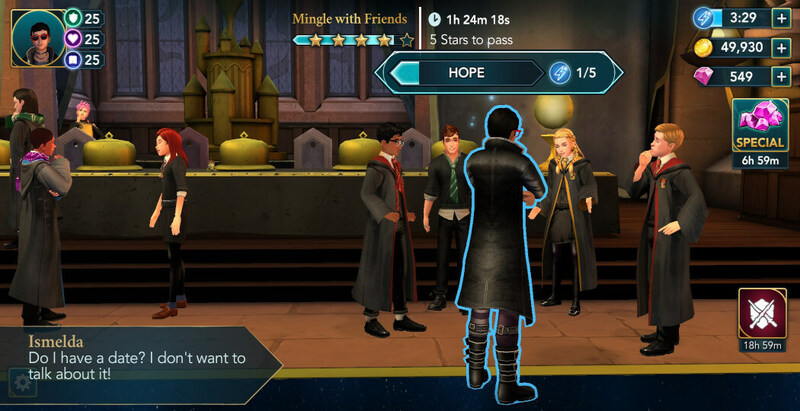 Like before, this choice won’t affect the outcome of the quest, so feel free to pick the option you prefer. 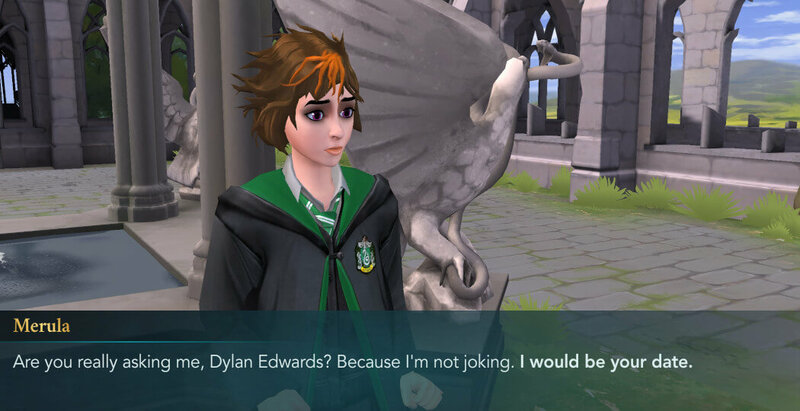 Shortly after, Ismelda will show up and comment on the situation. Eventually, you’ll be forced to duel her. The task window will show you the recommended attribute levels and the gold cost. Generally, this should be an easy duel, since her attributes are more than likely way below yours, which will make things much easier for you. 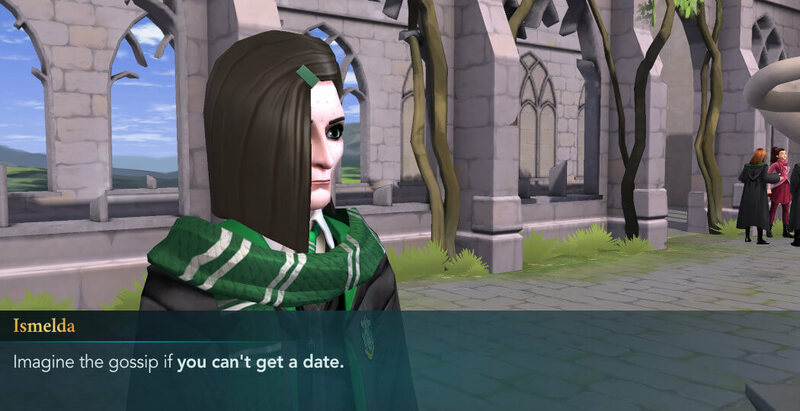 After you defeat her, she’ll admit she doesn’t have a date yet and run away. 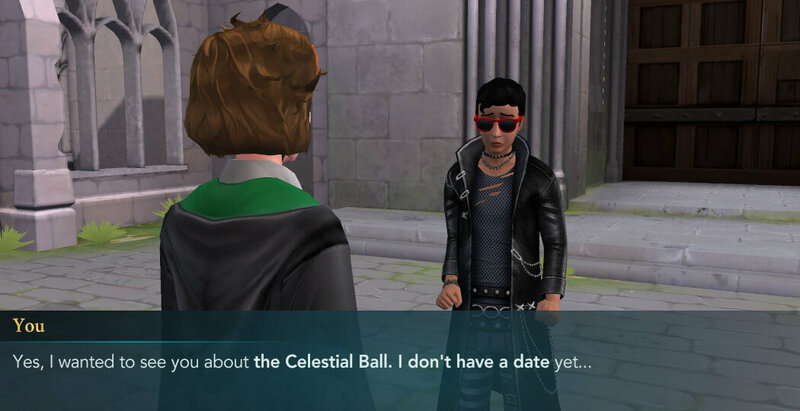 Apparently, pretty much none of your classmates have a date yet. 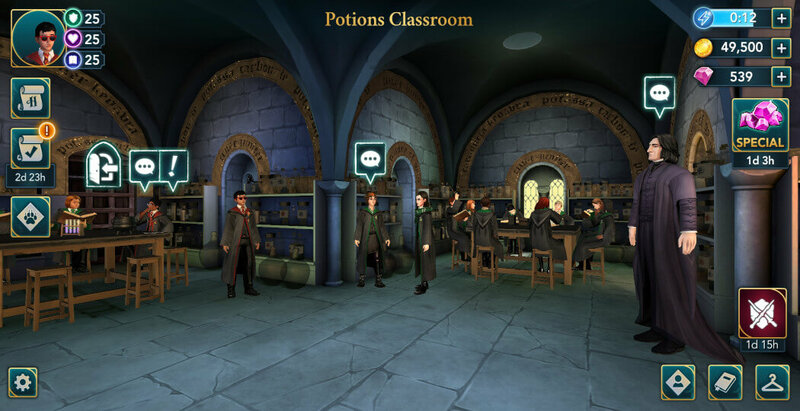 For the next task, you should head to the Potions Classroom. 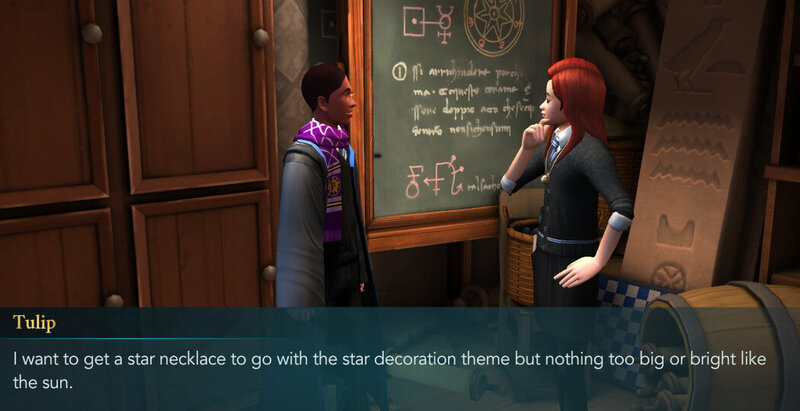 Be sure to check out what some of the characters have to say before proceeding with the task. You’ll talk to Rowan during the class and Merula will find this quite disturbing. 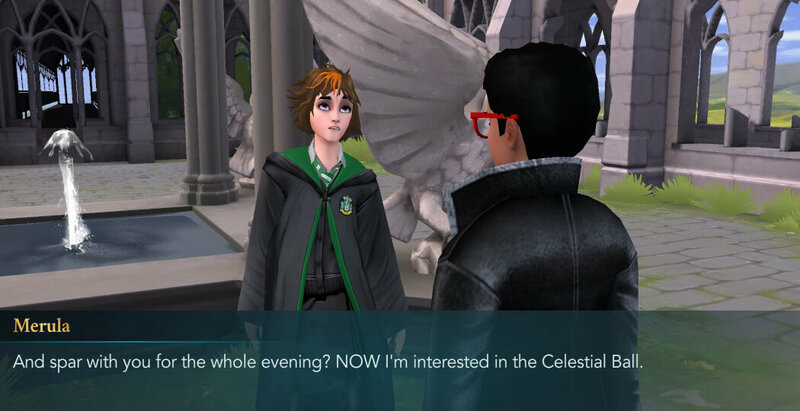 At first glance, she’ll want you to think she is completely uninterested in the event. You can reply to her in two ways. The outcome is pretty much the same, so pick the option you find more interesting. 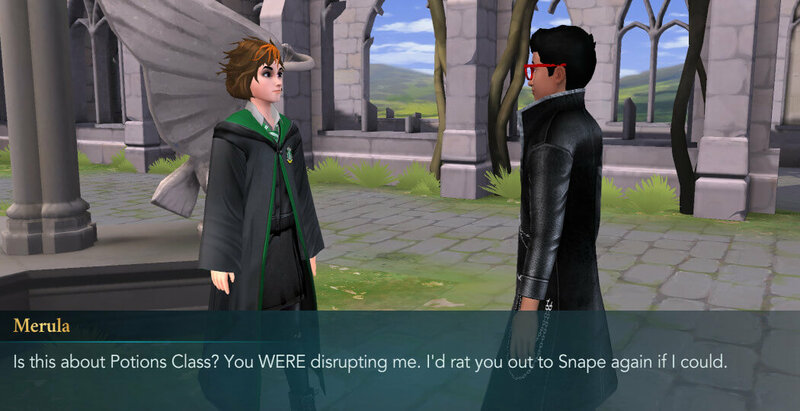 Regardless of your choice, she’ll get quite angry and she’ll tell Professor Snape you’re distracting her from finishing her potion. 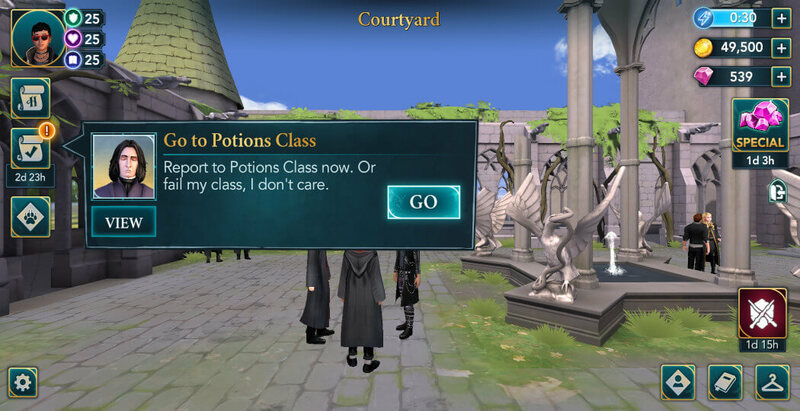 And because of this, you’ll have to stay and clean up the classroom. To do that, you have to obtain five stars within three hours. 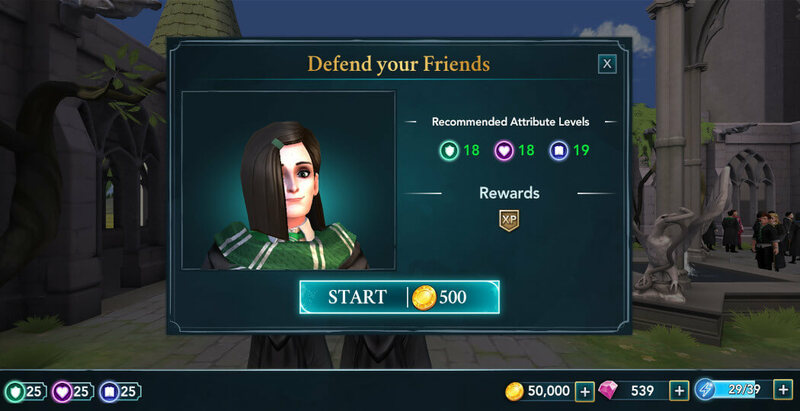 There are some 5 cost actions tied to Snape, so be sure to do them whenever they are available. 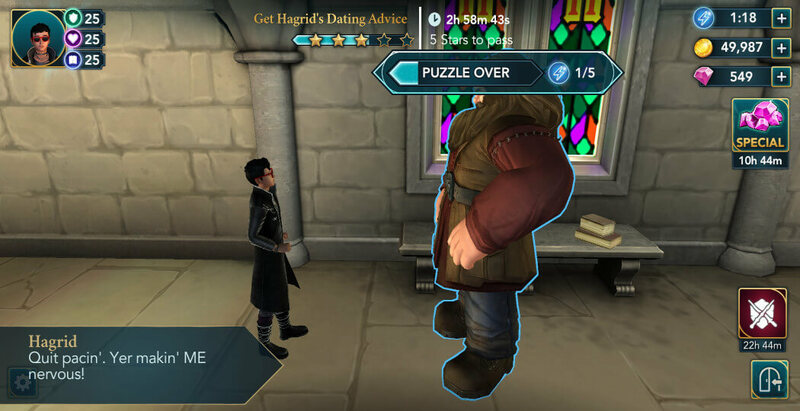 Once you are done, the Professor will give you an interesting piece of advice. Next, you should go to the Artefact Room to meet Tulip and Andre. Once you get there, you’ll see that she is also seeking Andre’s help. 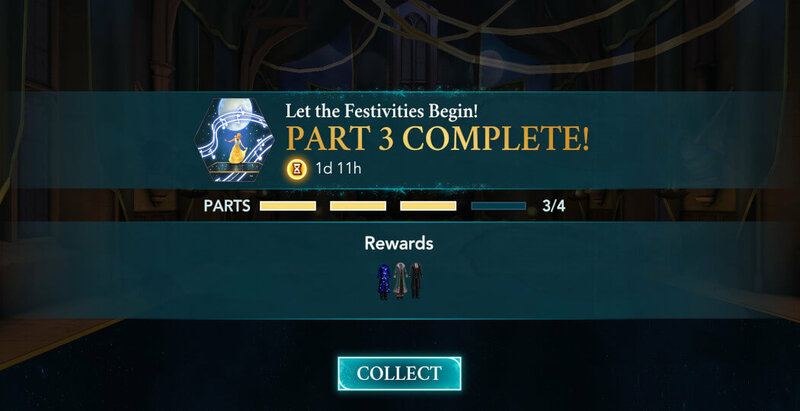 Andre will then tell you that he had to postpone showing you the outfits since he still has some work to do on them. 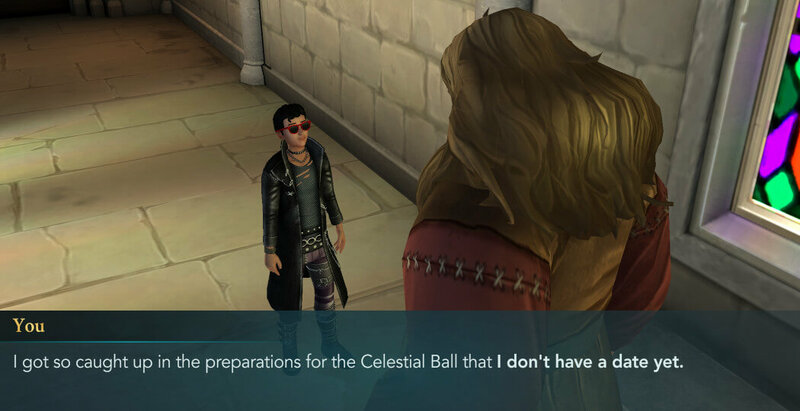 At least you’ll get to ask him a question about your outfit options. You have three options, and none of them will have an effect on the quest, so feel free to pick the one you want. Shortly after, you’ll get to discuss dating. 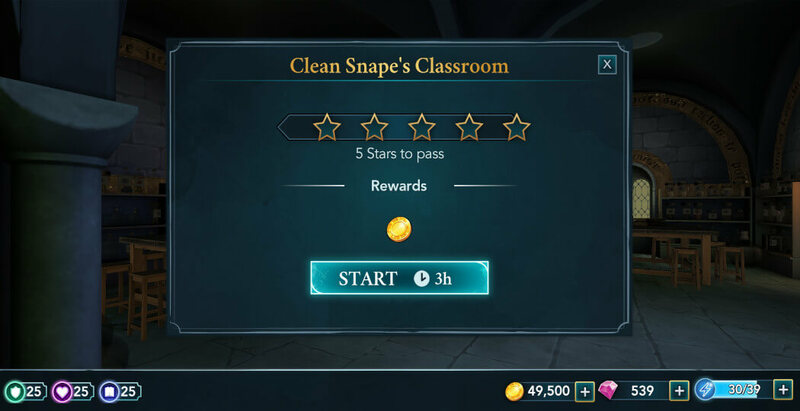 Completing this task requires earning five stars within three hours. 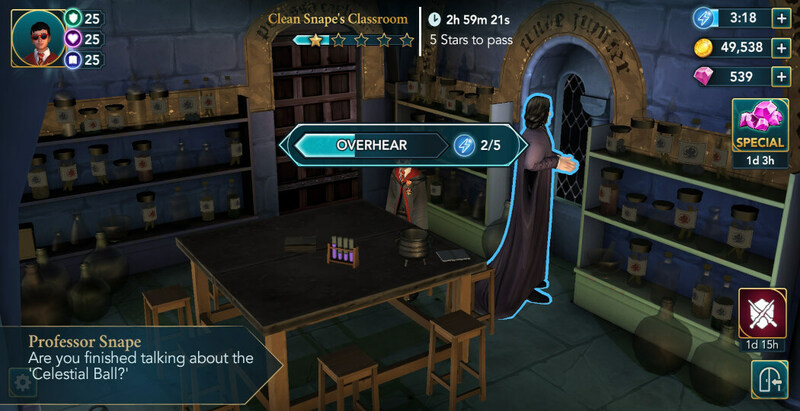 You’ll need between 55 and 60 energy to complete this task and earn all five stars. 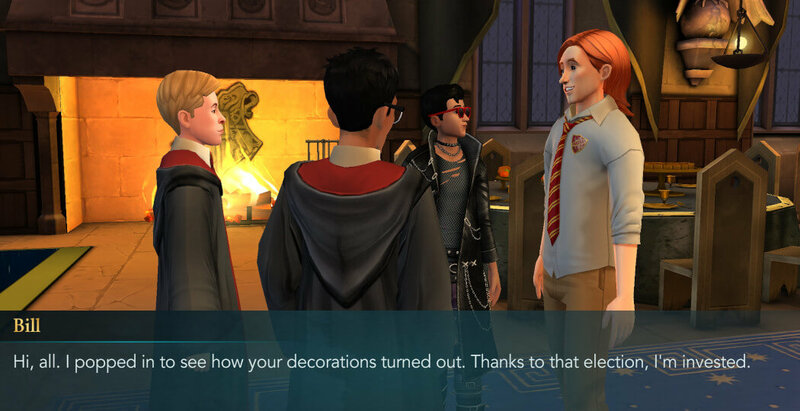 After you finish, Barnaby will arrive, stating there’s an emergency. 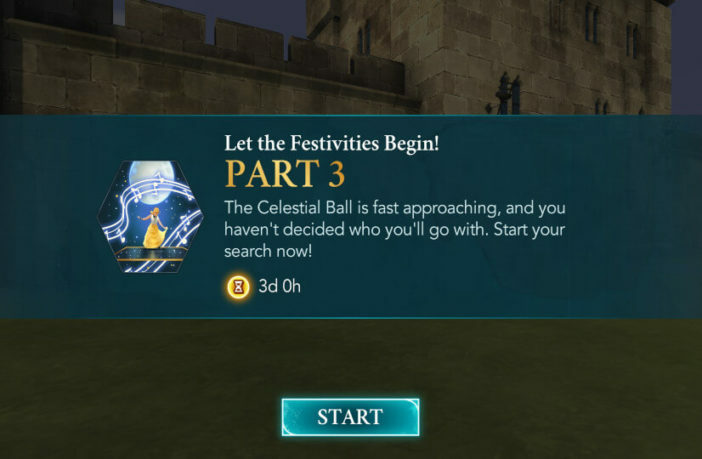 Sadly, there is a waiting period of three hours before you can continue. 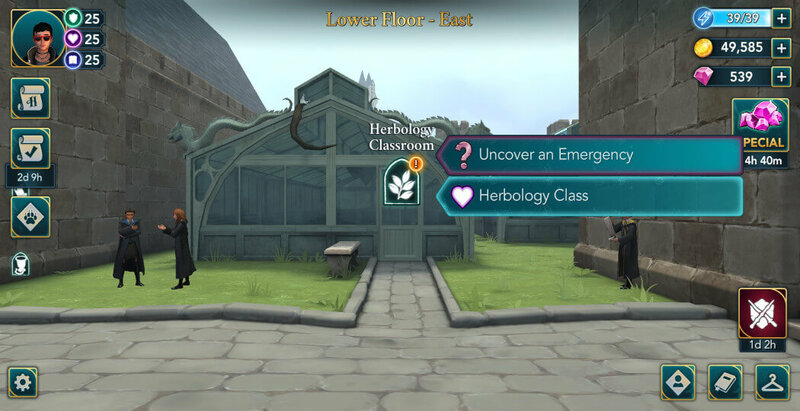 After the waiting time is over, proceed to the Herbology Classroom to meet your friends. 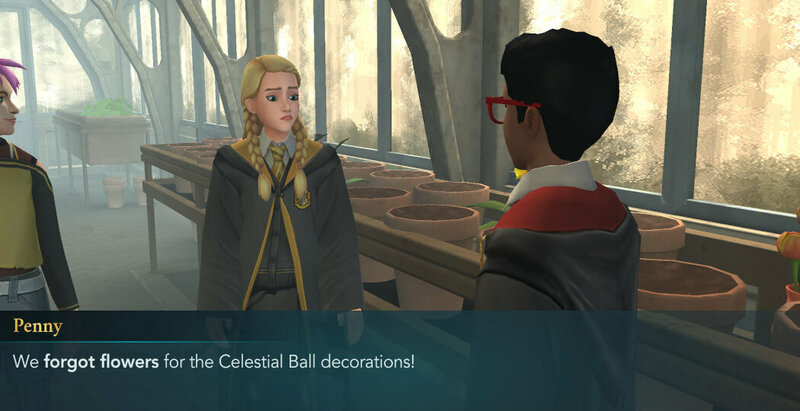 Apparently, no one remembered to pick some flowers for the Celestial Ball decorations. This will lead to a rather comical scene. In the end, you’ll decide to pick flowers for decorations. 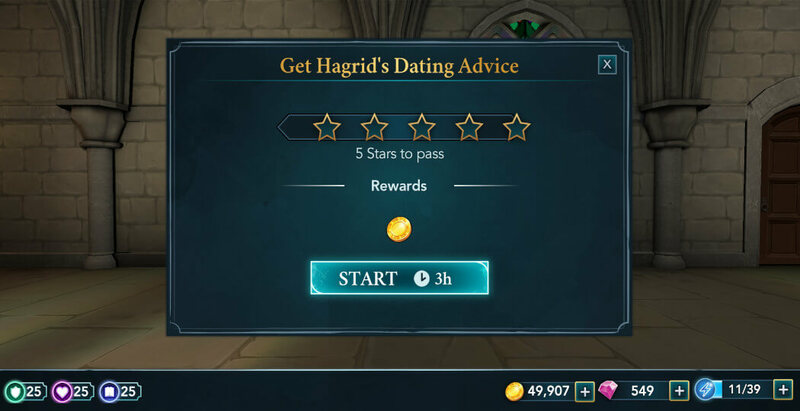 To do that, you need to acquire five stars within three hours. Since all of those are needed to pass, avoid starting the task if your energy is low. 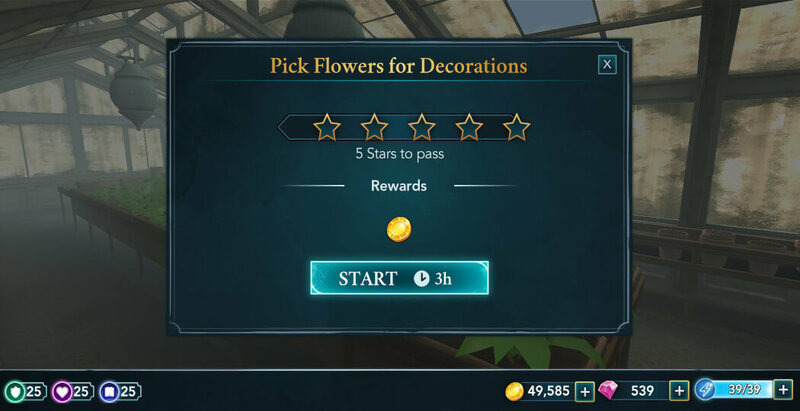 There is a fair amount of 5 cost actions available which will make it easier to complete the task. 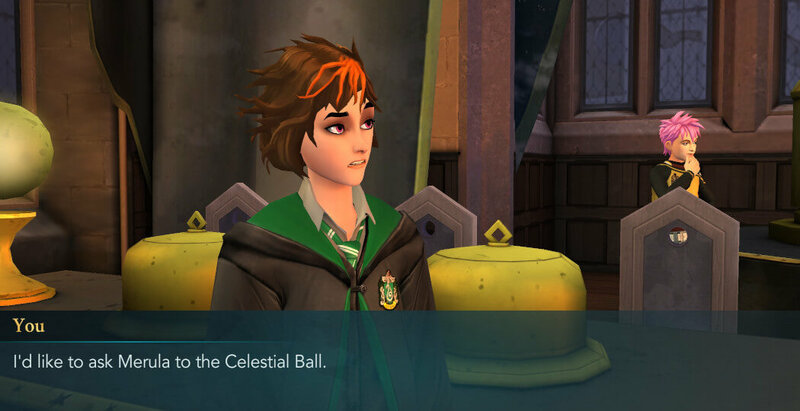 Once you are done, Tonks will ask if you’d prefer to go to the ball with Penny or Barnaby. You have three options to respond with. Those won’t have any significant impact on the quest, so you can choose either one. 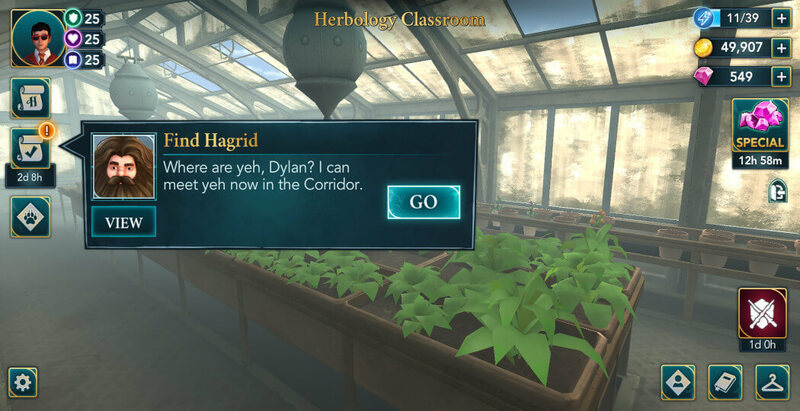 Not long after that, you’ll get the task to meet Hagrid in the West Tower Corridor. Proceed there when you are ready. 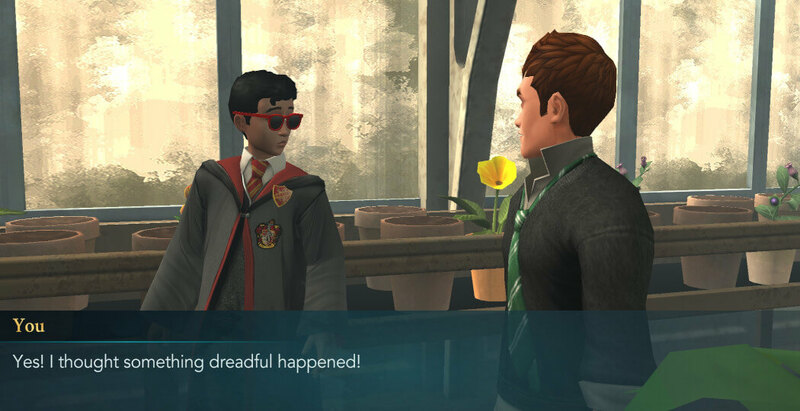 Upon arriving, you’ll explain the situation to Hagrid. He’ll then agree to give you some advice. 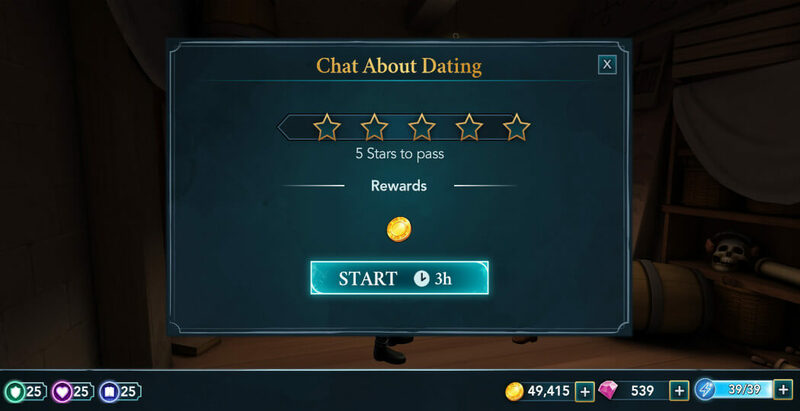 For this task, you need to earn five stars within three hours. To earn all the stars, you need around 55-60 energy, depending on the actions you do. 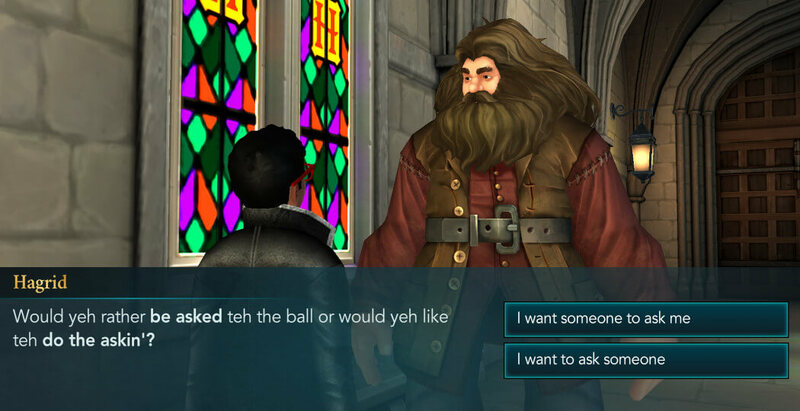 Hagrid will then ask if you prefer to ask someone to the ball or the other way around. You have two options to choose from. 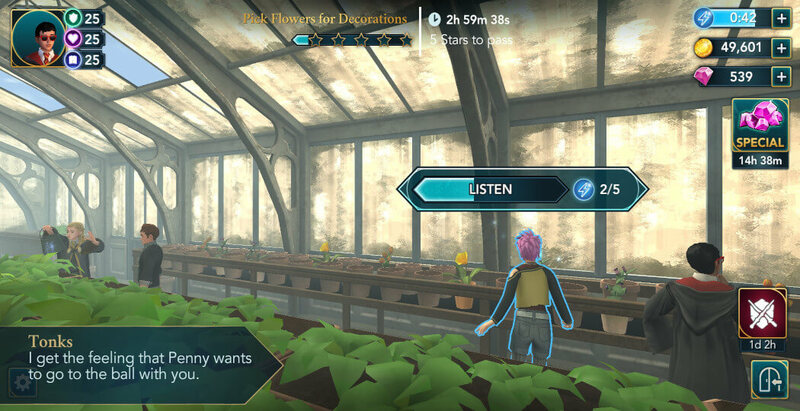 This choice will influence one of the following tasks, so make sure to pick the option you prefer. 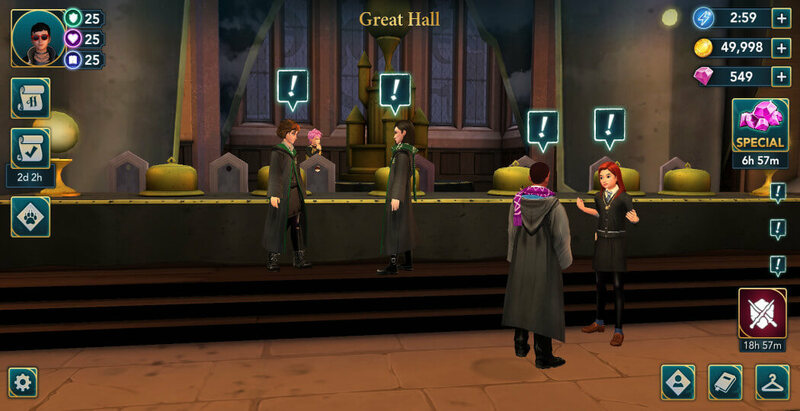 Next, you should head to the Great Hall to meet your friends. 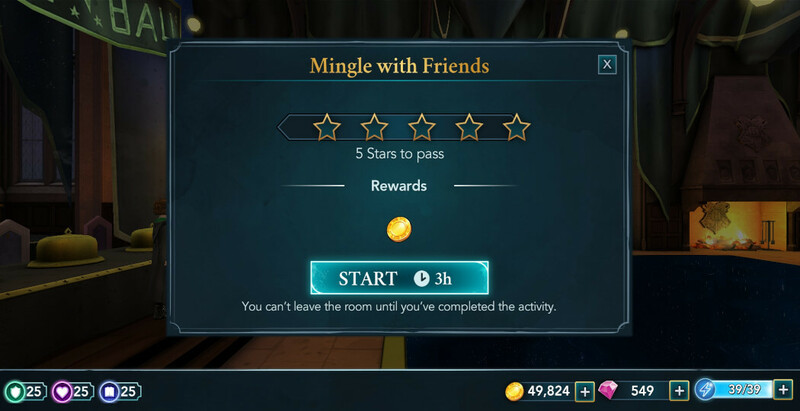 Upon arriving, you’ll be able to interact with some of your friends before continuing. 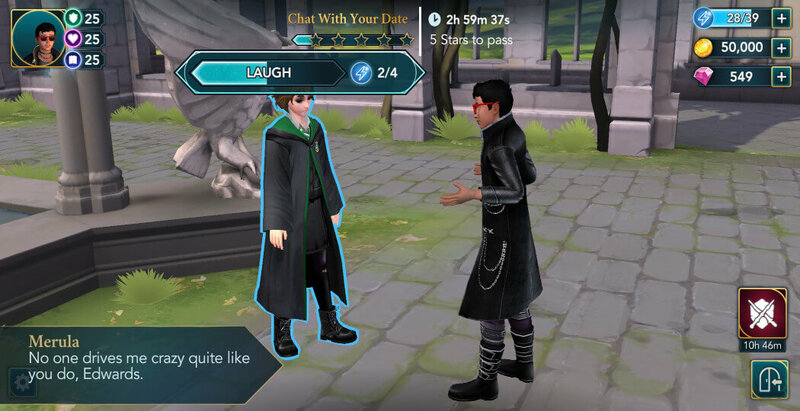 Ben will then inform you that he and Rowan couldn’t find a date for you. 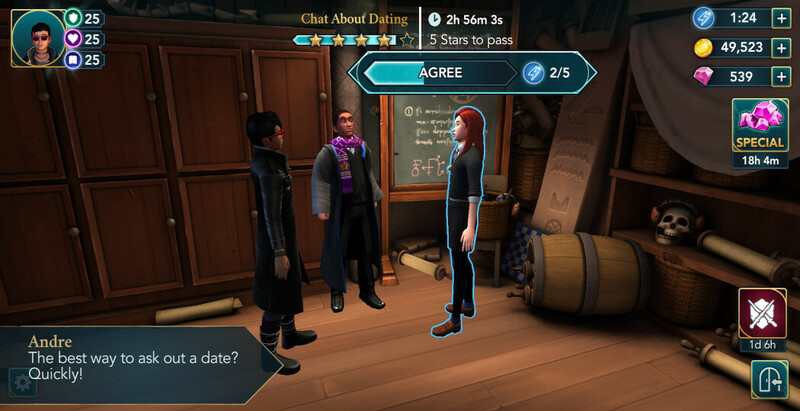 However, the good news is that none of your friends have a date yet, so you can ask whoever you like. 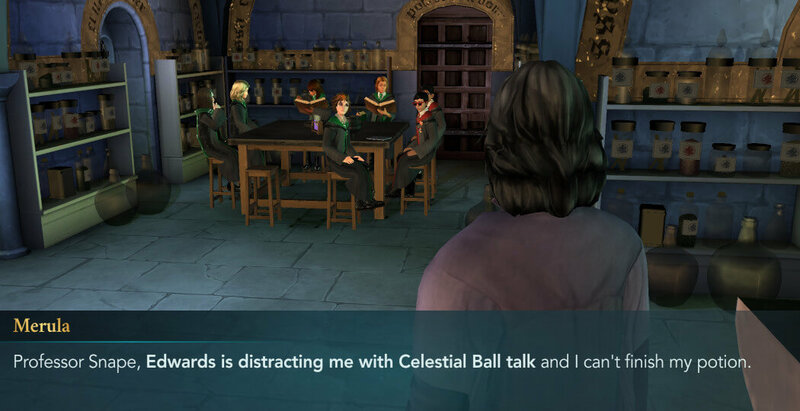 Your next task involves talking with all your friends. 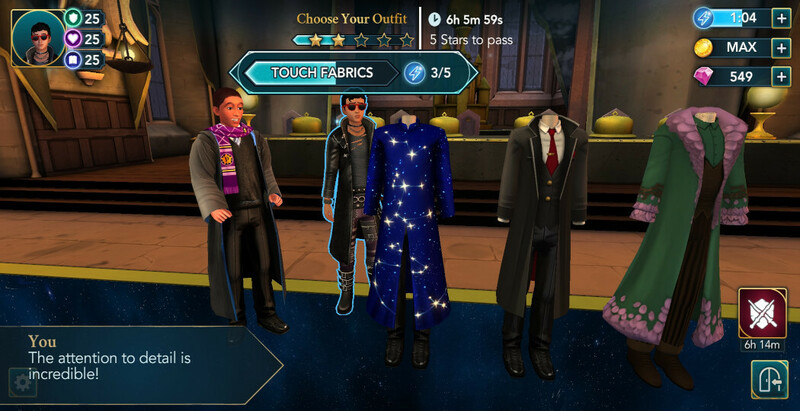 To complete it, you need to obtain five stars within three hours. Keep in mind that you cannot leave the room until the task is done, so it is highly recommended to have full energy before starting it. 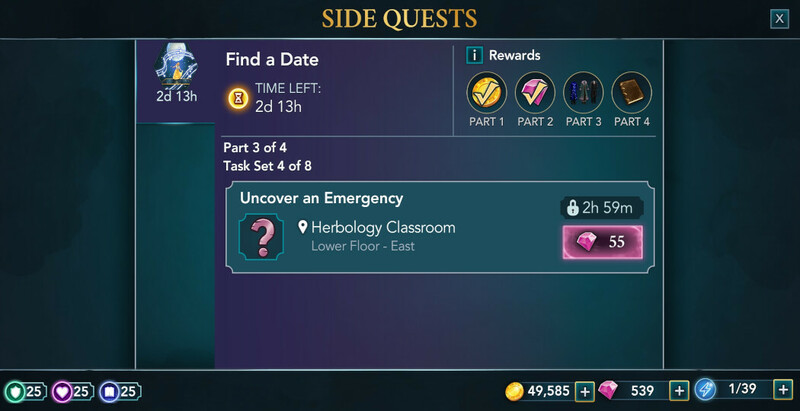 You’ll need close to sixty energy to complete this task which is about one and a half energy bar. Once you are done, Bill will arrive to see the decorations. Shortly after, you’ll tell him you didn’t decide who to go with yet, and he’ll give you nice advice. 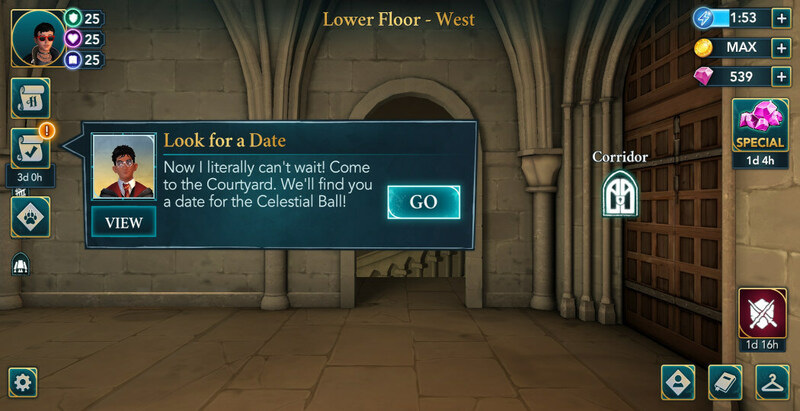 Finally, you’ll be able to choose a date. 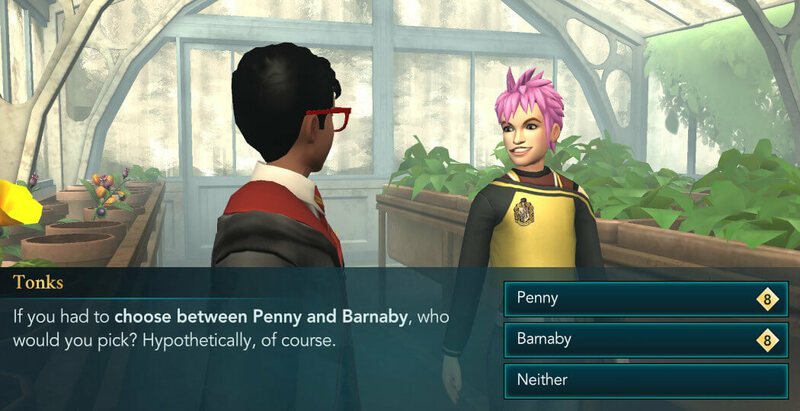 There are eight possible options. 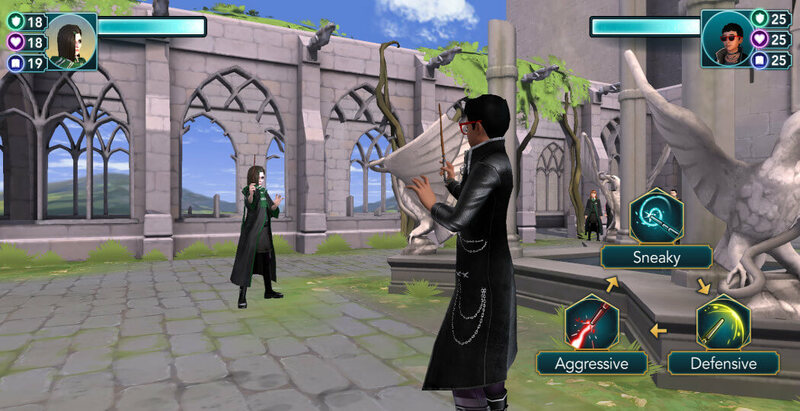 Tap on the exclamation mark above the classmate you want to choose. 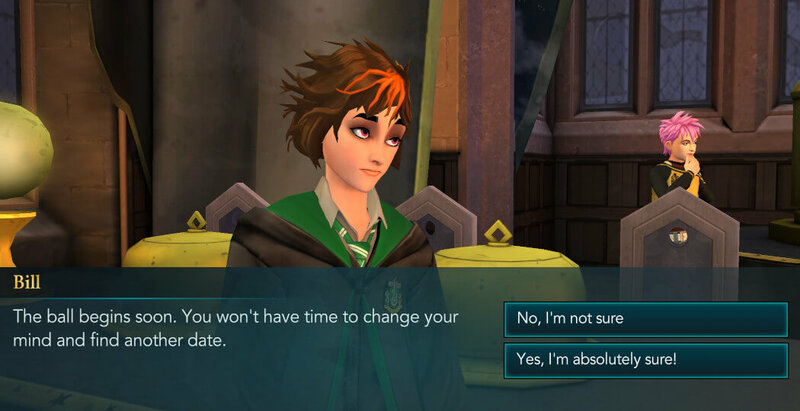 The dialogue will change depending on the option you picked when you talked to Hagrid. 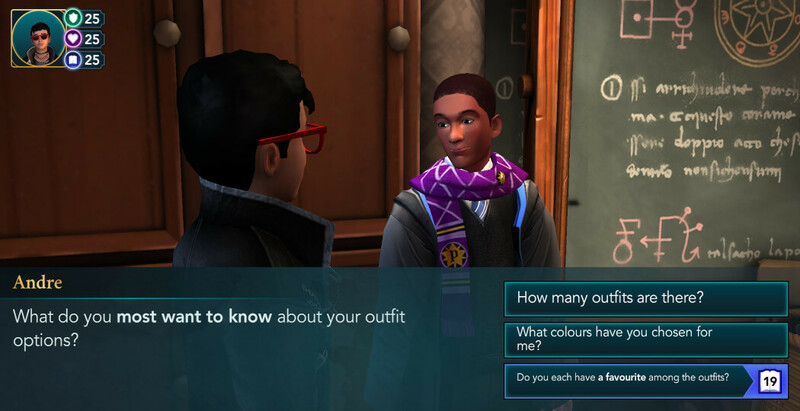 Bill will ask if you are absolutely certain. You have a chance to change your mind now. 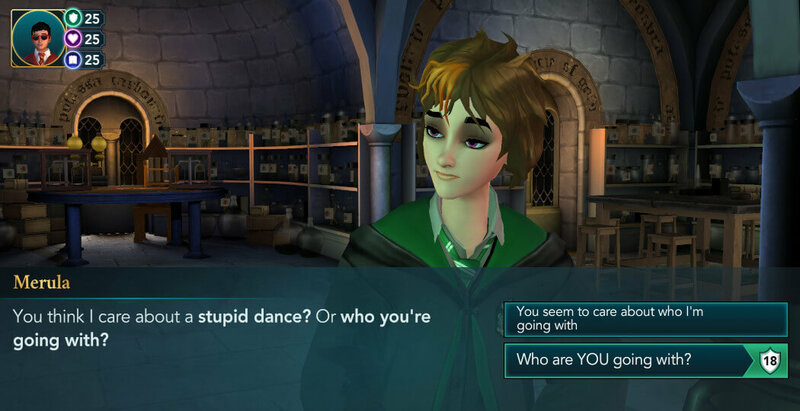 If you are sure about your choice, select the second option, otherwise, you can go with the first one and choose again. 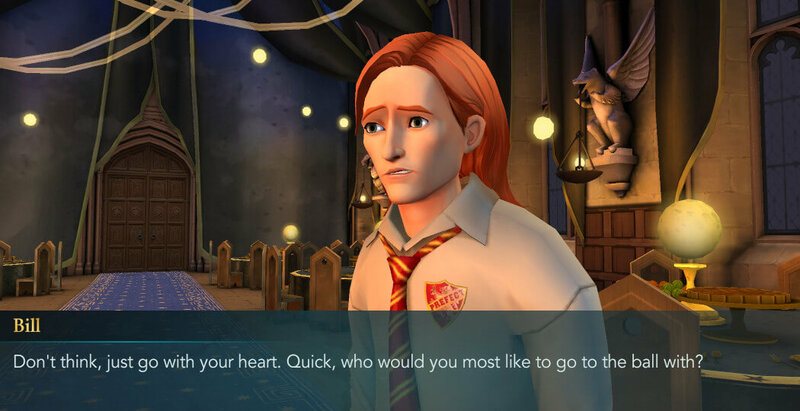 Once you’ve made up your mind, you’ll need to meet your potential date in the Clocktower Courtyard. However, there is a waiting period of three hours before you can proceed. 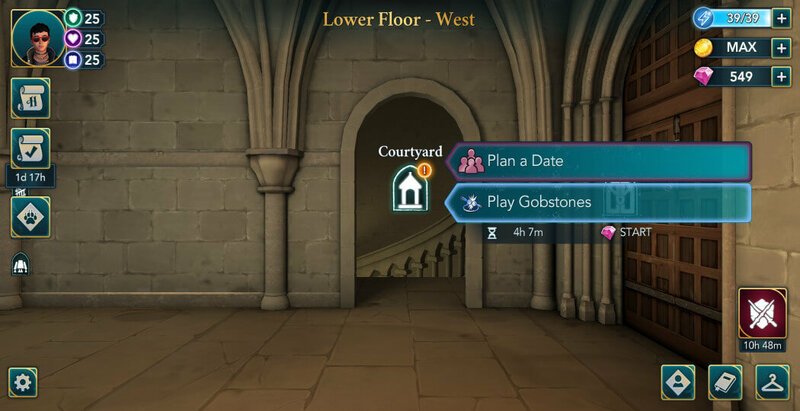 Once the waiting time is over, head to the Courtyard to meet your potential date. 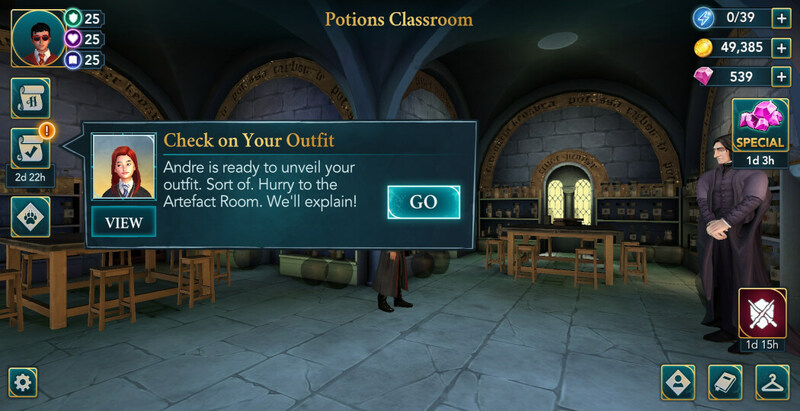 When you arrive, your classmate will be curious about why you asked them to meet you here. 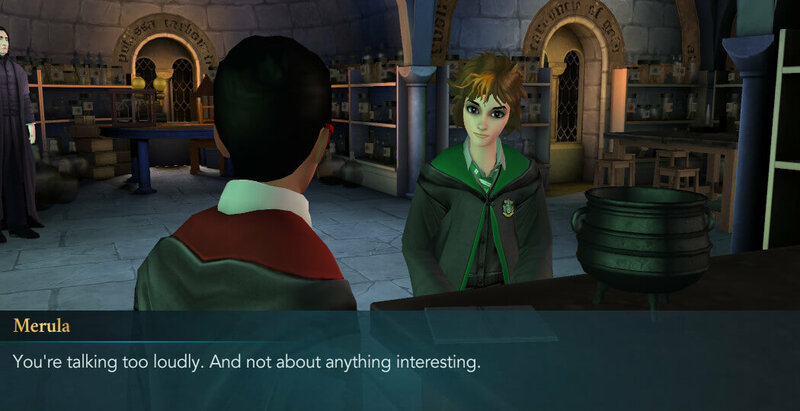 Needless to say, this dialogue differs quite a bit for each of your classmates. And finding out that you invited them to talk about the ball will come out as quite the surprise. 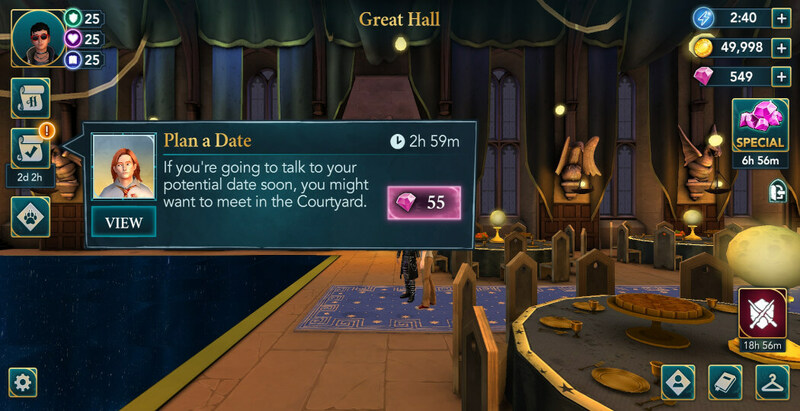 You will shyly mention that you don’t have a date yet. 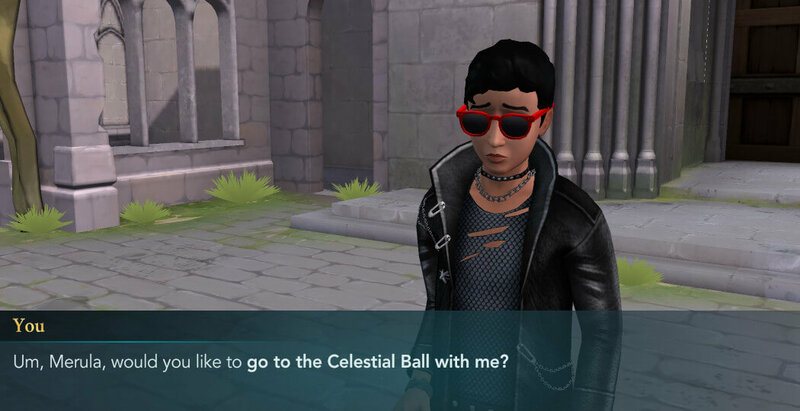 What follows is a remarkably cute scene in which you’ll ask (or be asked by) your classmate to go to the Celestial Ball with you. Your classmate will admit that you’ve always been their first choice as a date. 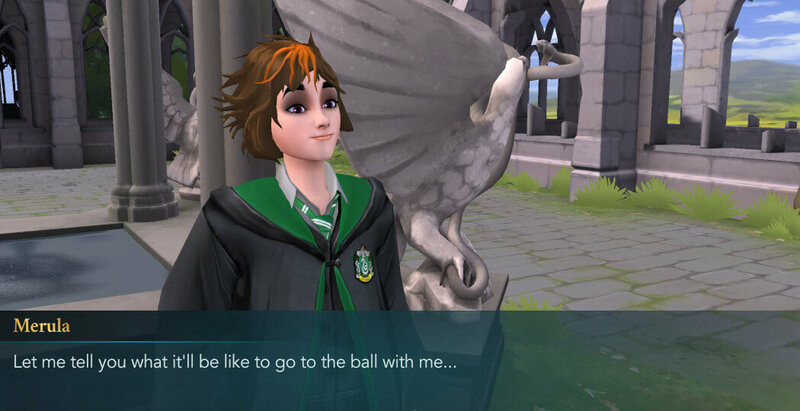 You’ll then get to talk about the ball with your date. 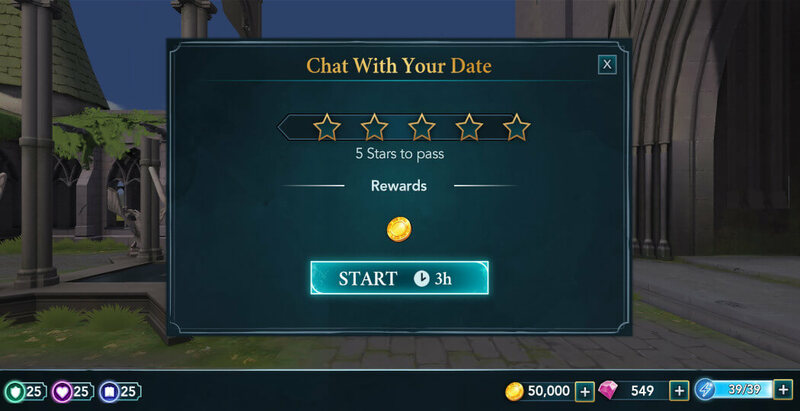 To complete this task, you need to obtain five stars within three hours. All of the stars are needed to pass, so avoid starting it with an empty energy bar. 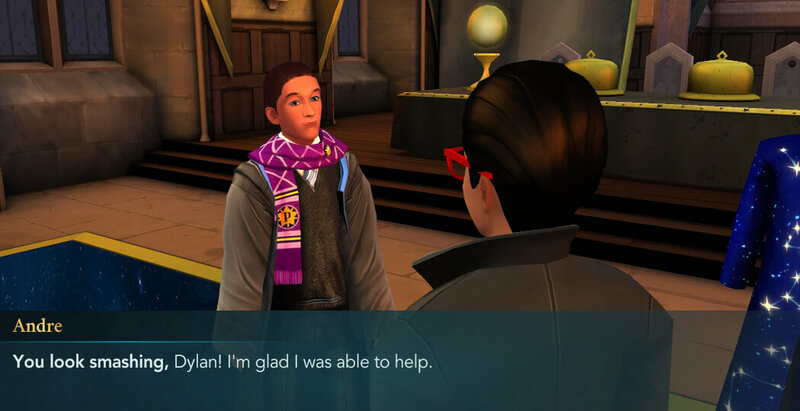 Make sure to read through some of the lines of dialogue after completing actions. Some of those are quite interesting. 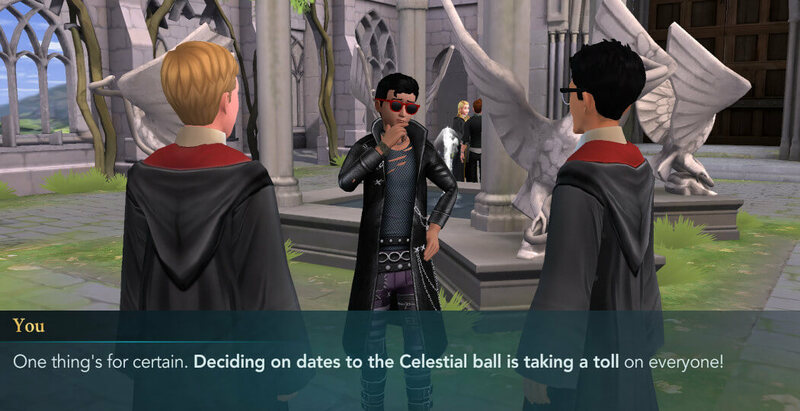 Once you are done, you’ll find out that your date had already gotten an outfit. 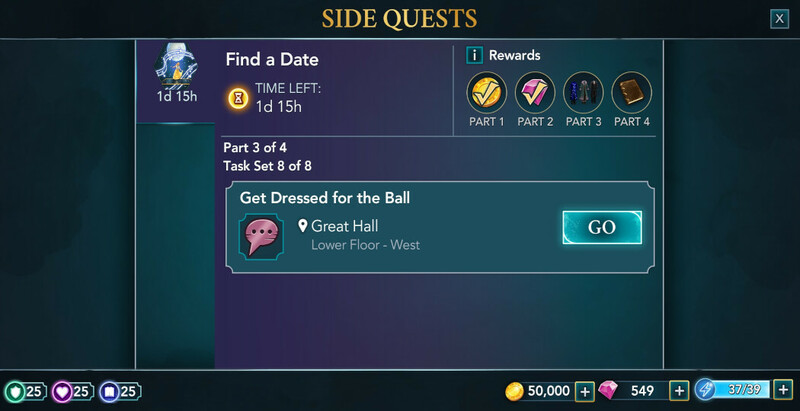 So, the only thing left is to get your own before the ball begins. 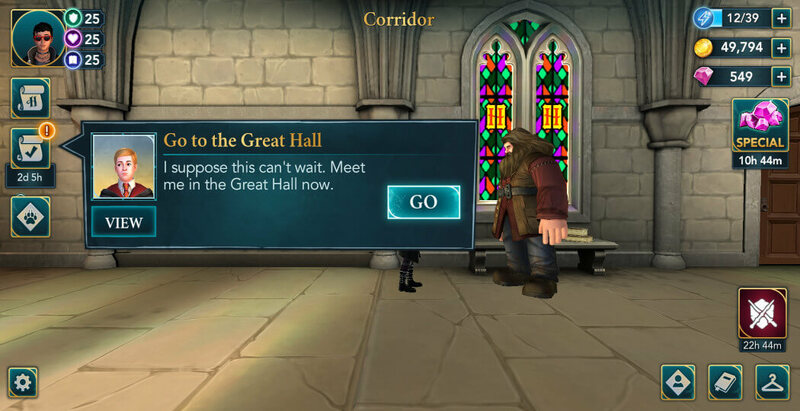 Proceed to the Great Hall when you are ready. 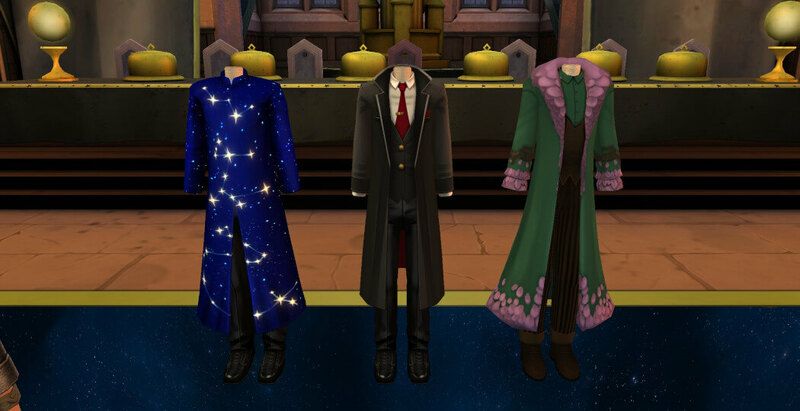 Upon arriving, you’ll notice that Andre has prepared three dashing outfits for you to choose from. Next, you’ll get to check them out. 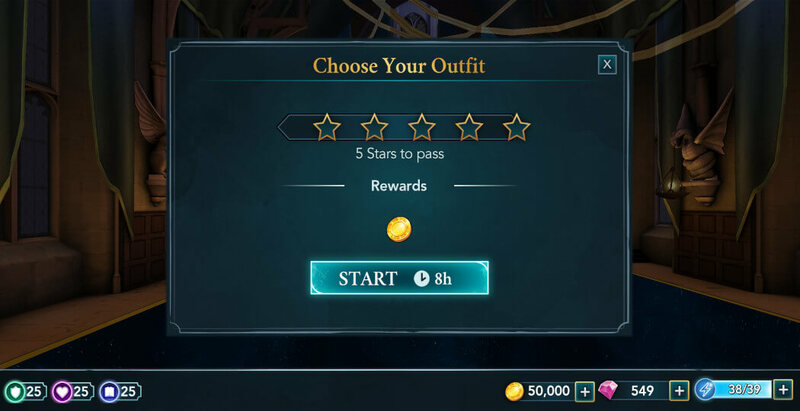 This task requires you to earn five stars within eight hours. You’ll need approximately one hundred energy to acquire all the stars. Once you are done, Andre will ask you to pick the one you like the most. 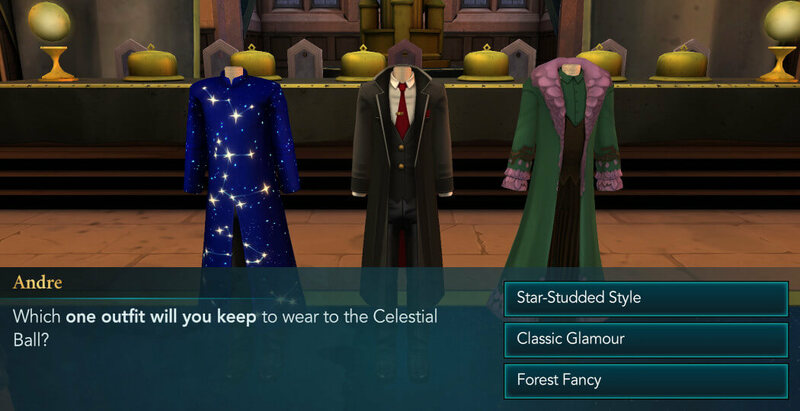 You’ll get the chance to try each of the outfits before making the final decision. 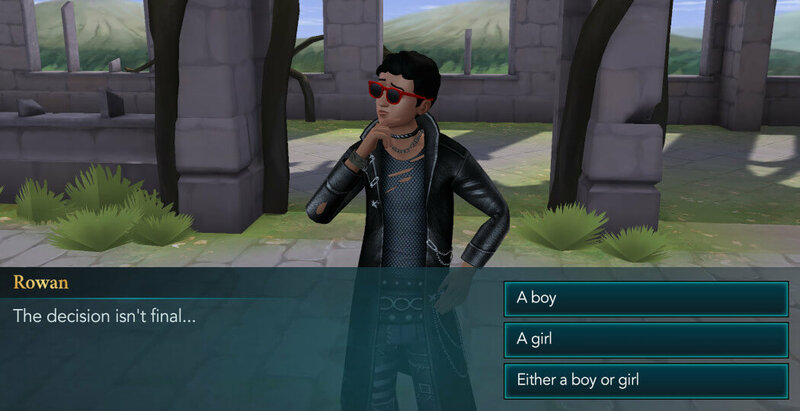 After picking any of them, you’ll see how it looks on your character, and you can decide if you want to go with that one or to choose another if you aren’t sure yet. 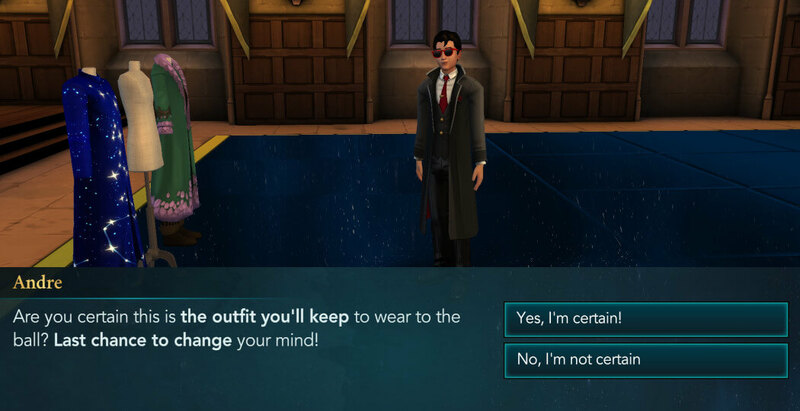 Also, keep in mind that the outfit you pick will permanently be added to your wardrobe after the adventure is over. Andre will be quite pleased by your looks. Shortly after, Part Three will be complete. Hit the Collect button to claim your reward. Everything is ready for the ball. 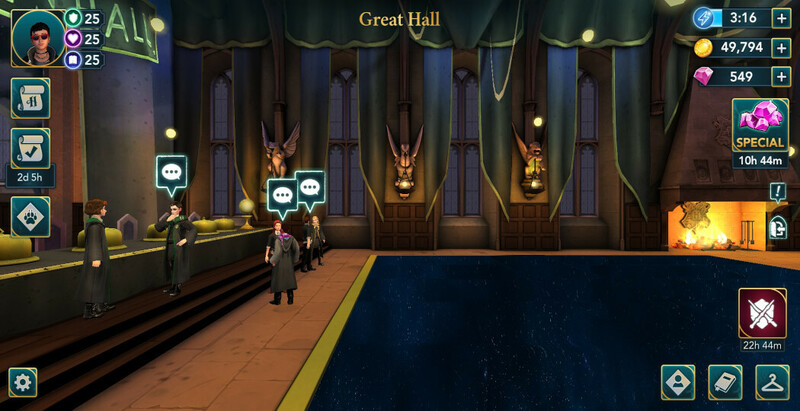 The Great Hall is properly decorated, you have a dashing outfit to wear and a lovely date to share a great time with. All that’s left is to enjoy the festivities and dance to your heart’s content. Thank you for reading and see you soon in a Fourth and final part of this amazing adventure.